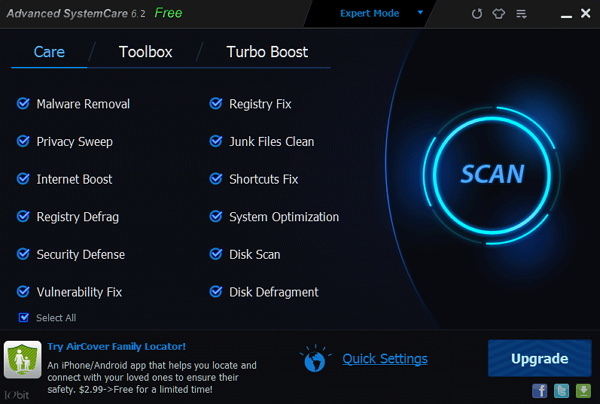 Advanced System Care one of the most popular system optimization tool currently having 150 million users across world wide. The software allows users to optimize, clean, and fixes all kinds of PC problems easily and quickly. It includes number of useful tools such as Registry Cleaner, Uninstaller, Internet booster, Malware removal and more to optimize your computer.